The GYROTONIC EXPANSION SYSTEM® is a totally new exercise system, using Gyrokinesis exercises as the basis to exercise the musculature while mobilizing and articulating the joints. The uniqueness of the system is that it simultaneously stretches and strengthens your body with minimal effort, while increasing range of motion and developing coordination. 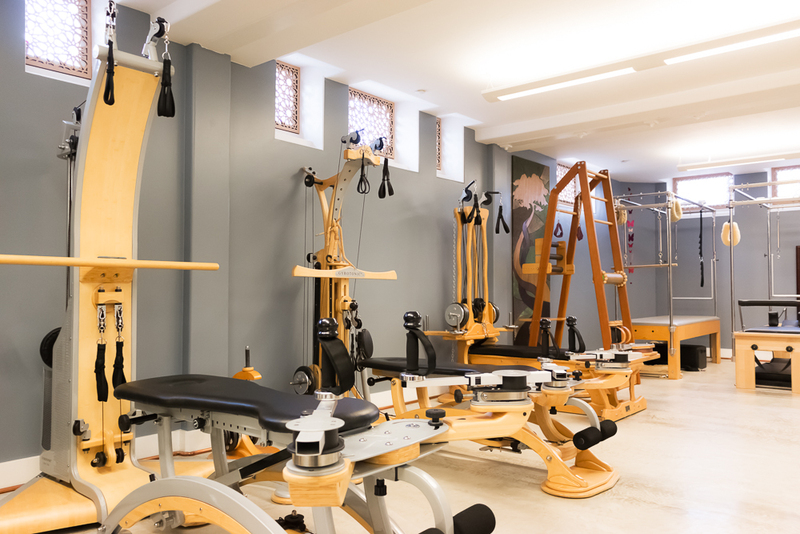 The Gyrotonic Expansion System was conceived by Juliu Horvath using key principles of gymnastics, swimming, ballet, and yoga through which major muscle groups are worked in an integrated manner. The system is supported by equipment designed around the human body to allow total freedom in movement, without restriction of speed or versatility, thereby enhancing coordination, strength and flexibility. Unlike most conventional exercise equipment where linear or isolated movements are performed, the Gyrotonic Expansion System emphasizes multiple joint articulations without compression. Currently, the Gyrotonic Expansion System is used worldwide by dancers, athletes, and in rehabilitation facilities, as well as by people from all walks of life, age and health condition.